[ NOT READY FOR 1.0.0 AWAITING ON SOFTWARE DEVELOPMENT ]Adds obsidian tools for everyday needs. Complete with an obsidian pickaxe, hatchet, shovel, sword, hoe and a new tool called the Paxel. A multi-tool with the capabilities of a pick, a hatchet and a shovel all in one. 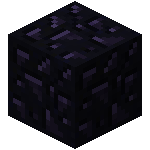 Also, do you like Armour?, then the obsidian tools mod has that too! Now features Stairs! Instructions for install is right here// Unfortunately for now....this mod is not compatible with other mods that share the same file names. You must have installed modloader http://www.modloader.com/ they have instructions for that too.! Hi, i am sorry but it was not made for multi player. believe it or not I have just barely picked up java. I understand concepts but never had enough time to invest in it. This project was a Very successful expiriment.